Michael Barron talks to Jeremy Cunningham about upcoming album ‘We The Collective’, released on March 9th. 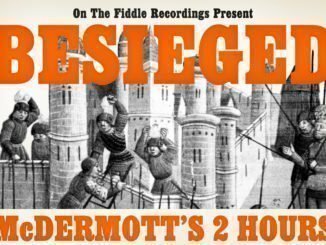 The album features a string section and the talents of legendary producer John Leckie (Radiohead, Stone Roses), the album contains new acoustic arrangements for eight of their previous singles including ‘Liberty’, ‘Hope Street’ and ‘One Way’ which they recorded straight to tape at the world-famous Abbey Road Studios. 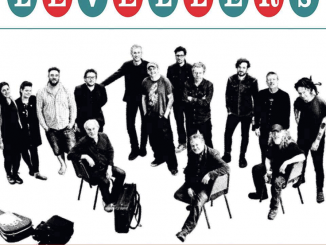 As part of the band’s 30th-anniversary celebrations, Levellers will head out on a full Acoustic Tour in the Spring where they will be playing the new arrangements with guest musicians, in a number of theatres and concert halls around the country supported by Ginger Wildheart. Hi Jeremy, how have you managed to stay together with virtually the same line up for 30 years? Why did you wait 6 years before you released We the Collective; the longest wait fans have had between Levellers album releases? We had been writing a new electric album but couldn’t decide on the songs so we thought we’d try an acoustic record to get us back into the flow. A couple of the band have had kids too, so with that and touring it’s taken us a while admittedly! Why did you decide to include a cover of The Zounds, Subvert on the new studio album (the first time Levellers have included a cover since their eponymous third album released 25 years ago)? What is the band favourite song on this album and why? Also, what do you want fans to take away from your new album? I think our fave song is prob ‘Elation’… it just sounds immense. Personally, I prefer the extras EP/CD but that’s just my opinion! Why did you choose John Leckie to produce We the Collective? 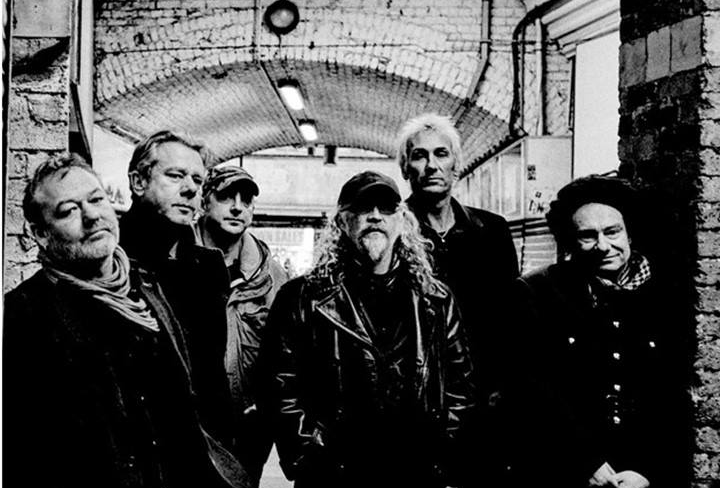 The Levellers have their own Metway Studio in Brighton; so why did you choose to record the new LP at Abbey Road studios in London? Last year The Telegraph included your 1994 performance in top 50 best Glastonbury performances ever. How did you draw the biggest crowd the Pyramid Stage ever saw back in 1994 (with as many as 300,000 people are thought to have seen the show)? How do you still draw in crowds to shows and festivals including your own Beautiful Days festival? Congratulations on a fantastic Camden Roundhouse gig which XSNoize had the privilege of reviewing. You played two songs from your Hello Pig LP at the Camden Roundhouse, despite Hello Pig initially not receiving the expected positive fan reception, the Hello Pig tracks you played (61 minutes of Pleading and Edge of the World) were probably the best received by fans on the night; will the Levellers be playing more Hello Pig material in future? After 30 years what do you want fans to take away from a Levellers live experience? You’ve worked with Billy Bragg, Frank Turner, Imelda May and the late Joe Strummer to name a few. How do you get to know and work with such great musicians? It depends… some are friends of ours, others we just took a punt and asked. Billy and Frank are friends, Imelda and Joe we asked because we loved her voice and obviously The Clash was/are a huge influence on us. We like to record live and luckily all our guests are up for that too – they’re all amazing! There has always been a political aspect to the Levellers. What are the causes closest to your hearts? Our politics I suppose could fairly be described as “radical”! We don’t trust politicians, we believe in everyone thinking for themselves and taking responsibility for their own actions. How do you champion your causes? You have done all the artwork for Levellers since you co-founded the band with Mark; how has the inspiration for your art changed? You courageously revealed a lot of personal information on A Curious Life documentary back in 2015. Considering the large numbers of people who saw the documentary, do you feel your relationship with the fans and the rest of the band has changed? Do you intend to make another album of entirely new original material following We the Collective? 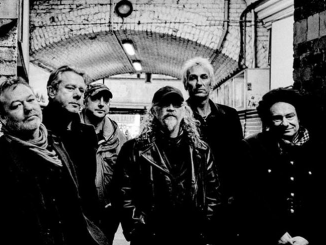 What else does the future hold for the Levellers? Well, it holds a new album of original songs and lots of touring… Just the way we like it!